The Little Betty top BLOG TOUR: imagine gnats//groovybaby...and mama! This is the last day of The Little Betty top blog tour. I hope you have enjoyed seeing all the variations of my pattern. Today you will see two different takes on my pattern - one with a multi fabric combination omitting the frill, and the other in a solid coloured dress! Today I have the pleasure to show you what Rachael from imagine gnats and Trine from groovybaby...and mama! have made. Rachael writes the popular blog, imagine gnats. She sews for her daughters, herself, creates patterns, manages an online shop and hosts some great series too. Unfortunately due to our latest move of house (which I will tell you about later), I had to pull out of Rachael's pattern tour, but I look forward to showing you a couple of tumble tees for Juliette next month. It's a fab pattern and I know I will use it heaps - thanks Rachael!! Her blog has had a bit of a revamp and is looking fresh and exciting! 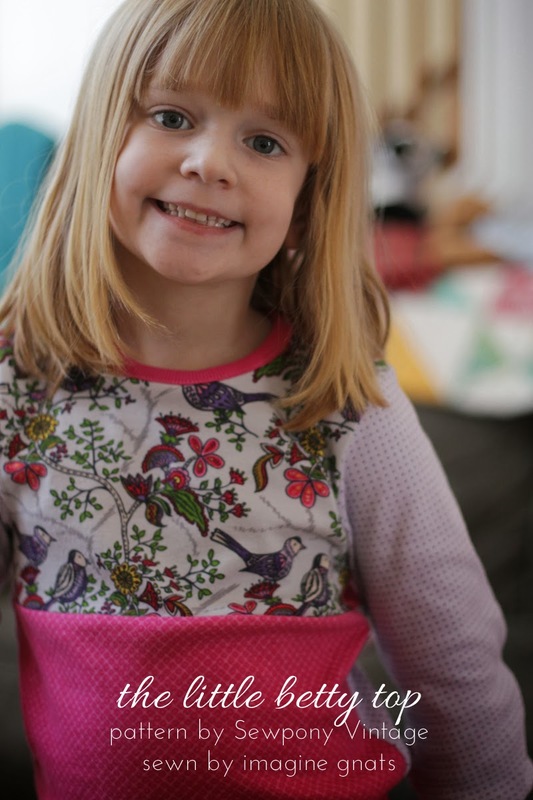 Head over to imagine gnats to see Rachael's Little Betty top! Trine blogs from Denmark and you definitely want her on board if you are doing a pattern tour. She guest posted her with a dress for her gorgeous daughter Wilma and for herself for When we were young. The dress she made herself apparently was pinned a gazillion times! Go Trine!! I loved it - such fab fabric. Trine sews for her four children (two girls and two boys) and for herself. Her photos are stunning and I just love everything she makes. 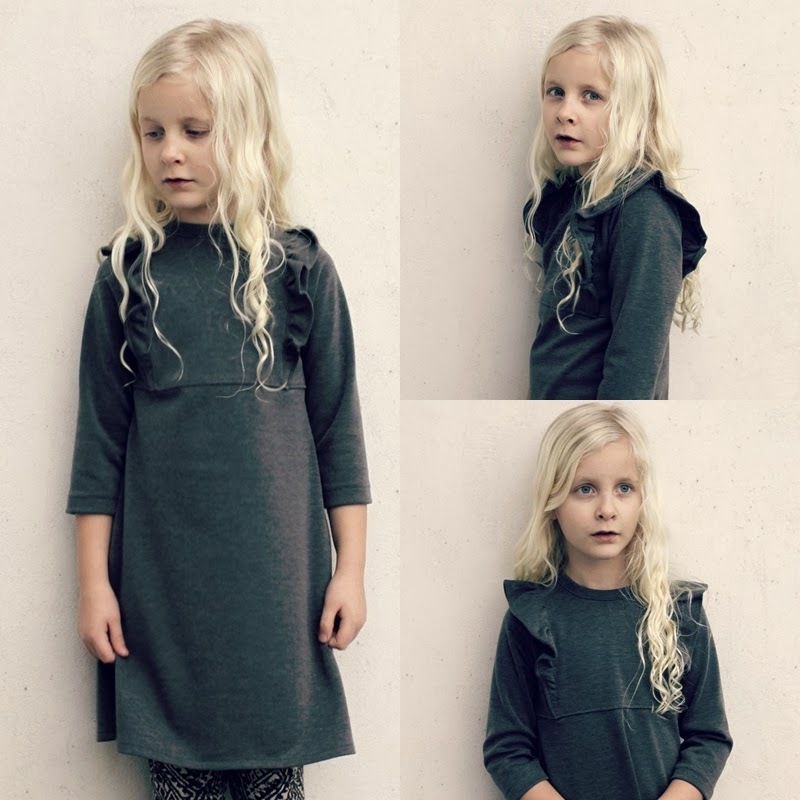 To see Trine's gorgeous dress, head over to groovybaby...and mama! Thanks so much for joining me guys! You can buy my pattern HERE. You can receive $1 off the full price with the code: BETTYTOUR1. Thanks so much to everyone who has helped me with my tour and for all of you have purchased my pattern already - yay! I will pop back in a couple of days to do a round up of the other versions of my pattern created by my pattern testers who do not have blogs. It's so hard to say, but I think these are my favourites! Looks like a great pattern! Love this pattern! I am crazy about the dress!